I bought these erasers when I was in Germany over Easter. The manufacturers of both erasers like to emphasise that the erasers are phthalate-free. A while ago plasticisers were a big topic in the news in Germany. I think there might have been a scandal regarding plasticisers in toys – or maybe this started another way. 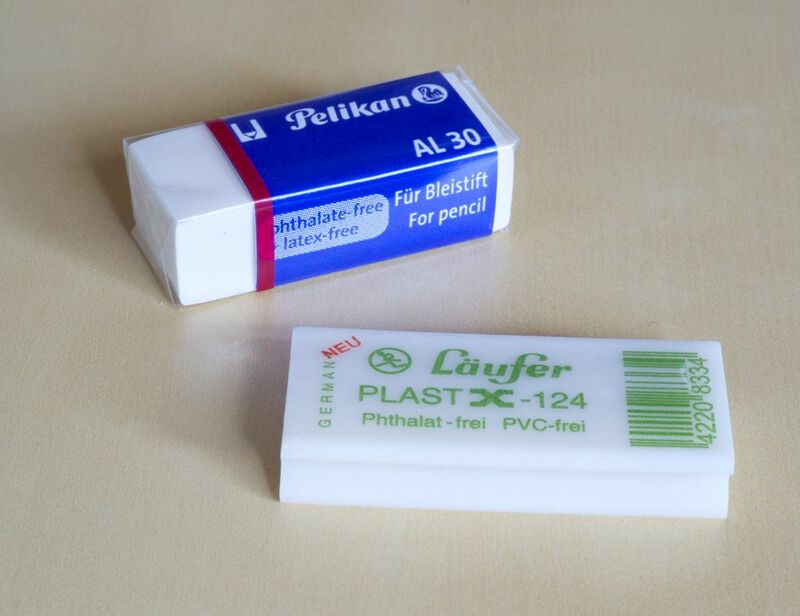 Both erasers were €0.79 (~ $1; £0.63).